We spend majority of our degree in the studio, whether it’s class time or crunch time, and sometimes downtime. Yesterday I was in Melbourne for some student congress meetings (ooo doesn’t that sound fancy!) and thought I’d take the opportunity to visit the RMIT Design Hub and the Melbourne School of Design building, only because I’m weird like that and enjoy visiting buildings time and time again. Later on the train ride home I started to think about the qualities that each studio has, their pros and cons, and what would be a great design studio for architecture students. I thought I’d write a post with some of the qualities I think would make the ideal architecture studio. I don’t mean big sliding doors that open onto a deck, I mean it would be nice but it’s more so just having some form of connection to the outside world. When you’re stuck for ideas, or lacking some motivation, sometimes peering out the window can be a helpful distraction. Being able to connect in some form with the people on the street, other students walking past or even seeing the rain drops on the window. On the other hand, having the ability to see the sun shining and other people not in the studio can make us sad as well! 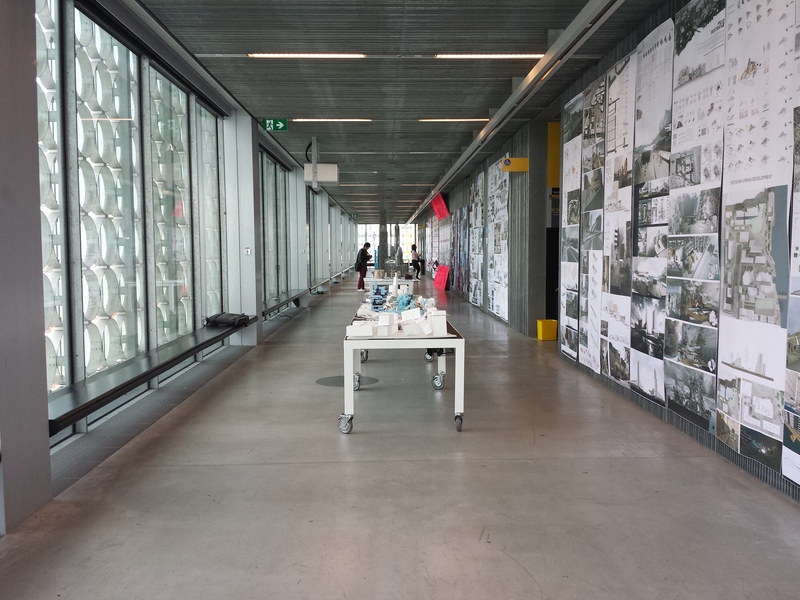 For me I feel as though a good architecture studio is one that is integrated well into the overall campus life. At times I feel somewhat isolated when in the studio at Deakin, as our only real source of the connection to the campus life is a double-glass door at one end. At Deakin our studio is effectively a hot-desk situation, where anyone can sit anywhere, and move desks as they please. Of course it’s generally accepted you’d move if you are sitting where a class will be partaking, but it’s generally a free for all. I’ve ranted about this in the past where due to this lack of structure the studio can become a mess. I think the ideal studio has flexibility, but also structured and rigid spaces. I believe a studio is effective when students are given options but there is some order. For example, you may zone the studio to be fixed workstations (where a student can “hire” a workstation for the semester and that’s there space), dedicated teaching areas (that can easily be transformed into review spaces), model making area (where it can be a little messy) but also have a hot-desk space which students can move furniture around. 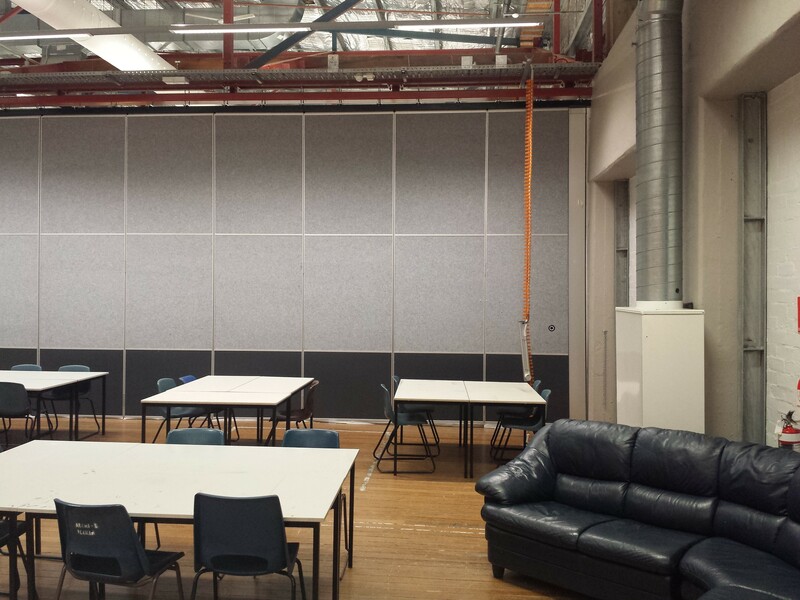 This gives students the option to work in peace, or join others, and it minimises possible disturbances to classes. Of course there are certain pieces of equipment and services that a studio should have, and based on experiences with Deakin’s studio you can never have too many power-points. Not all of us want to do our computer work in the dedicated computer labs, as most labs I’ve seen you are restricted with size so it’s impossible to spread out and sketch/build a model. Of course unsustainable mechanical thingamabobs such as air-conditioning and heaters (especially when in the studio at 3am in the middle of winter) are nice and can make things a little bit more comfortable. Studios also need the essentials to student life, a fridge/freezer, microwave, kettle and sandwich press. Other items such as a ping-pong table would be really awesome, or nice couches but just give us a microwave and fridge at least with access to boiling water! In terms of furniture, a mixture of tables are helpful for those who wish to stand or sit, along with comfortable chairs. Light boxes, drafting tables and movable cork boards are also very helpful with specific tasks. Storage is also important, whether it’s big units, shelving or drawers, having the ability to securely store drawings, equipment or models is critical. Beds with warm blankets would be nice also…. This isn’t entirely dictated by the design or layout, but I believe a great architecture studio has an engagement with the people that occupy the built environment. Not to be confused with number [x] and having presence, this is about engaging with people. It could be as simple as hosting exhibitions in the studio, guest lecture, award presentation, an event such as “speed dating” or workshops. The studio shouldn’t just be a work area, it needs to be lively and engaging. 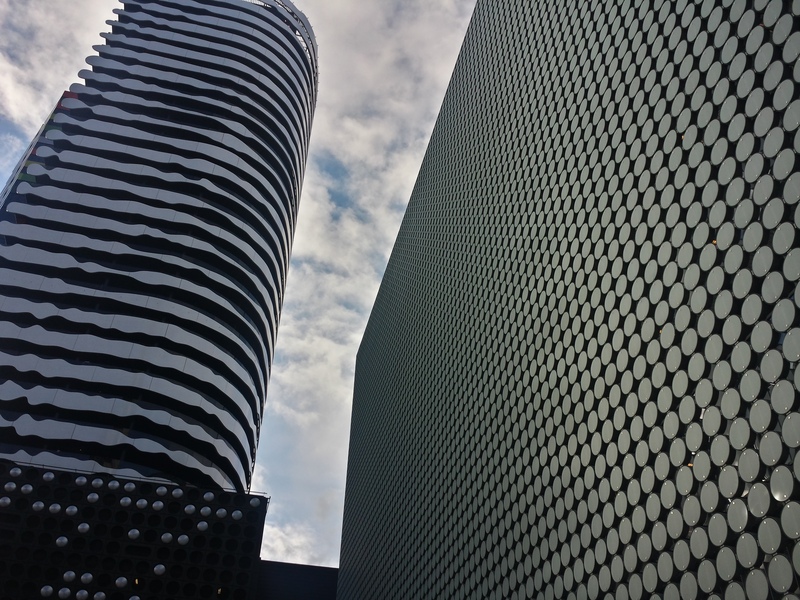 RMIT Design Hub by Sean Godsell Architects [right] with ARM Architecture’s Swanston Square [left] keeping a watchful eye. It’s a no-brainer, an architecture studio should have some architectural presence. 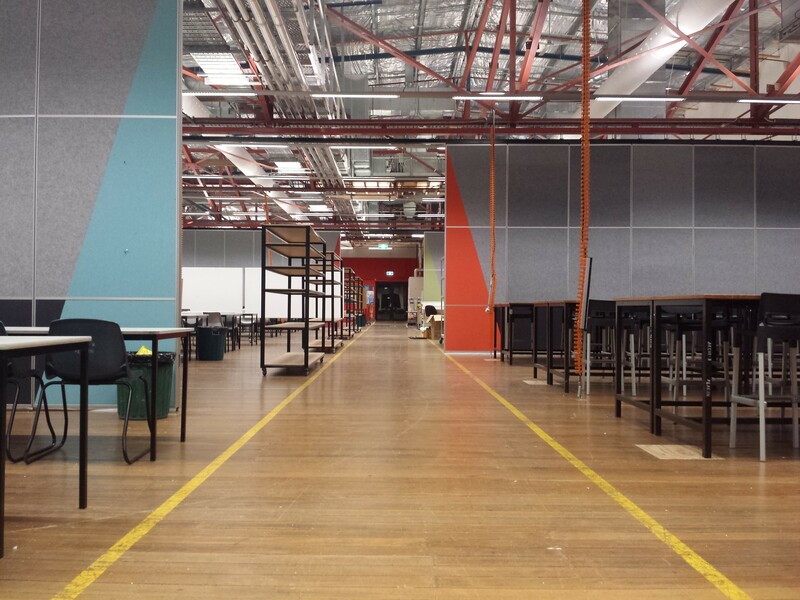 At Deakin we reside in a converted wool shed, where from the exterior you wouldn’t know which section of the building is the studio (if you’re not an architecture student) but the overall building has a presence. 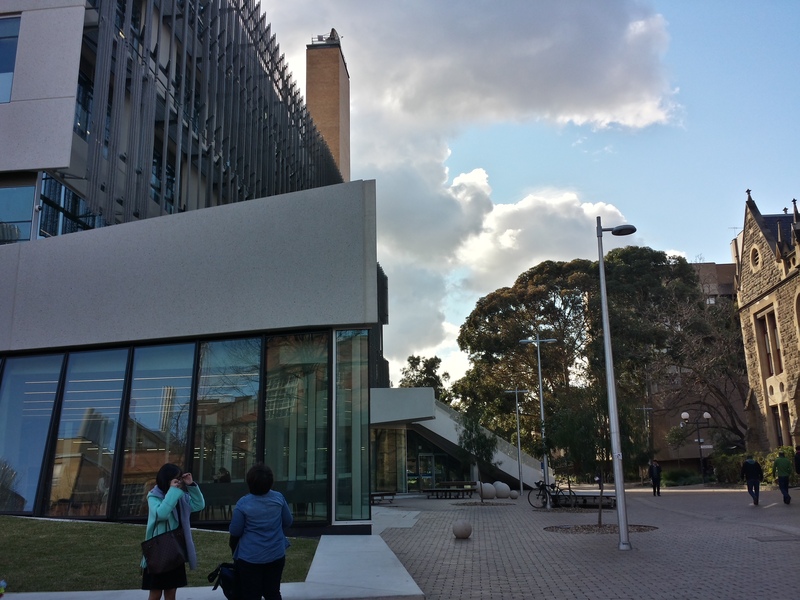 Other buildings such as RMIT’s Design Hub has a very strong presence in Melbourne’s skyline, and the Melbourne School of Design’s building has a solid stance in the overall campus. I think it’s nice to be able walk past your studio building and feel it, in some form or another. In architecture we are constantly talking about our proposed designs having a sense of place, it’s great when our studios feature the same ideals. Those are some of the qualities I think would make the ideal studio, but of course we are all different so I want to hear from you, what are important qualities for an architecture studio? Leave your suggestions in the comments below.